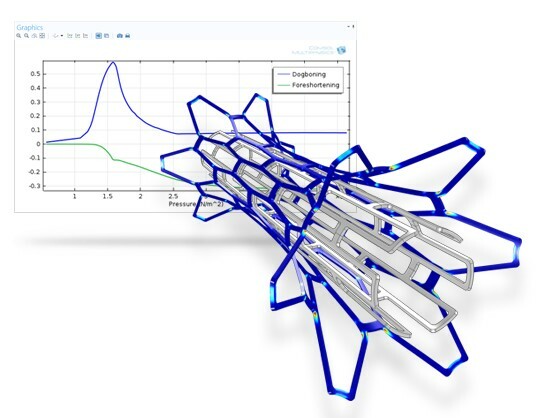 The Nonlinear Structural Materials Module augments the mechanical capabilities of the Structural Mechanics Module and the MEMS Module with nonlinear material models, including large strain plastic deformation capabilities. When the mechanical stress in a structure becomes large, certain nonlinearities in the material properties force you to abandon linear material models. This situation also occurs in some operating conditions, such as high temperature. 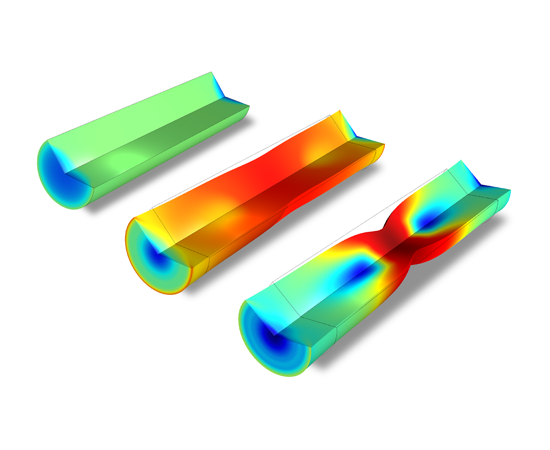 The Nonlinear Structural Materials Module adds elastoplastic, viscoplastic, creep, and hyperelastic material models. User-defined material models based on stress or strain invariants, flow rules, and creep laws can easily be created directly in the user interface with the built-in constitutive laws as a starting point. You can both combine material models and include multiphysics effects. The tutorial models that accompany the module illustrate this by showcasing combined creep and plasticity, thermally induced creep and viscoplasticity, as well as orthotropic plasticity. 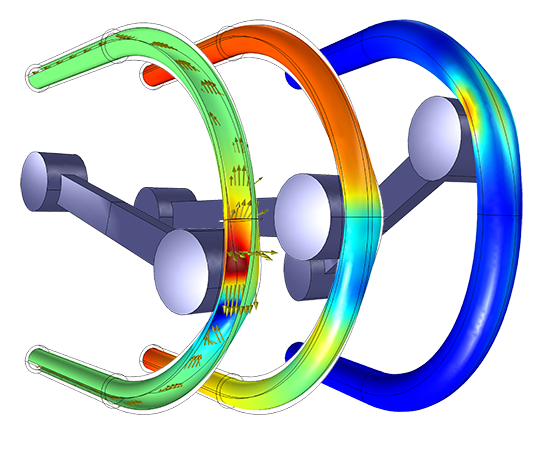 The Nonlinear Structural Materials Module also has important applications where it is combined with the Fatigue Module and the Multibody Dynamics Module.